THE INVASION RAVE & ODREEL ALADANLA 'LOCK IT UP' POSTPONED! 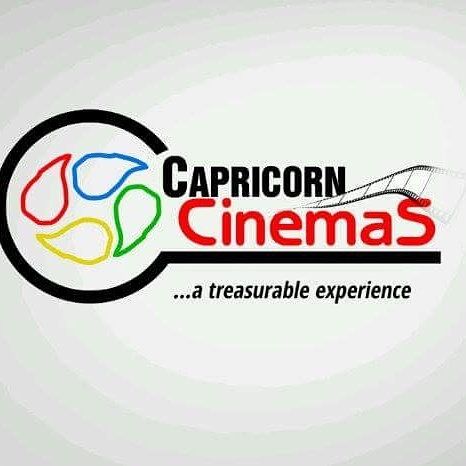 After several meetings by the board of directors of DEJIMANAIRE KING ENTERTAINMENT, it is hereby concluded that the event ‘THE INVASION RAVE & ODREEL ALADANLA lock it up’ slated for FRIDAY 8TH JUNE 2012 be POSTPONED. 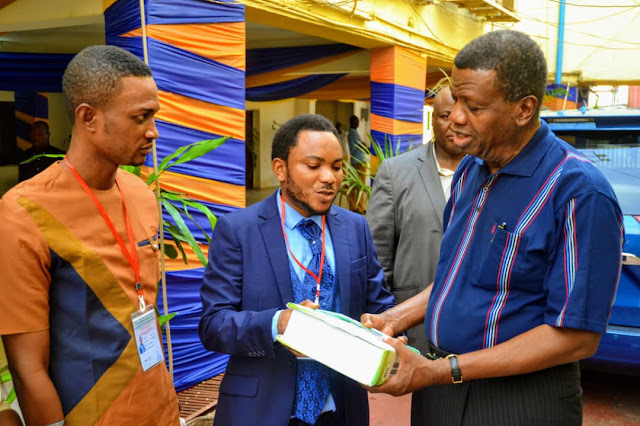 The postponement decision is bluntly for the best interest of our (visitors, artiste, participants, guest and invitees). After professional feasibility study, the event VENUE cannot accommodate our expected capacity (CROWD) also in matter other logistics. Therefore, for the safety of our esteemed fans, lovers and business partners we officially declare the event POSTPONED. However we urge all our esteem partners and fans to keep logged on our blog www.dejimanairekingent.blogspot.com and facebook page http://facebook.com/dejimanairekingent for up to date information on the rescheduled event date and venue, upcoming events, promotions, competitions and business info.
. We yet regret the announcement and sincerely apologize for all inconvenience. 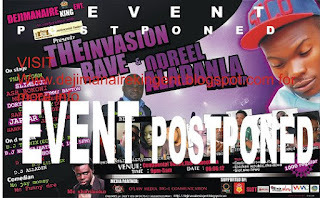 DejiKing Entertainment: THE INVASION RAVE & ODREEL ALADANLA 'LOCK IT UP' POSTPONED!